Your young fan's eyes are glued to the action when the Oklahoma Sooners are playing. Help advertise that unwavering passion by picking up this Icon T-shirt from Jordan Brand. 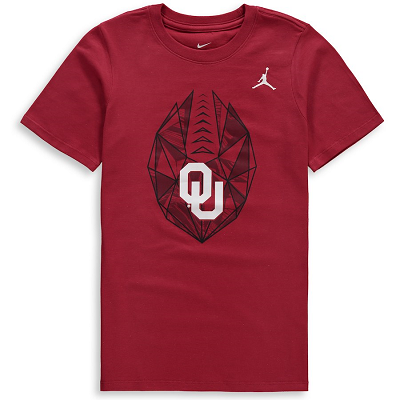 This phenomenal tee features outstanding Oklahoma Sooners graphics so that your youngster can pay tribute to the top team in the nation.